The monument is dedicated to the memory of the members of the Canadian Expeditionary Force killed during the First World War. It was designed by Walter Allward and took eleven years to build. It was unveiled in 1936 and following an extensive restoration rededicated by Her Majesty the Queen on 9 April 2007 during a ceremony to commemorate the battle’s 90th anniversary. Today marks the 97th Anniversary of the Battle of Vimy Ridge, which took place from 9 to 12 April, 1917. 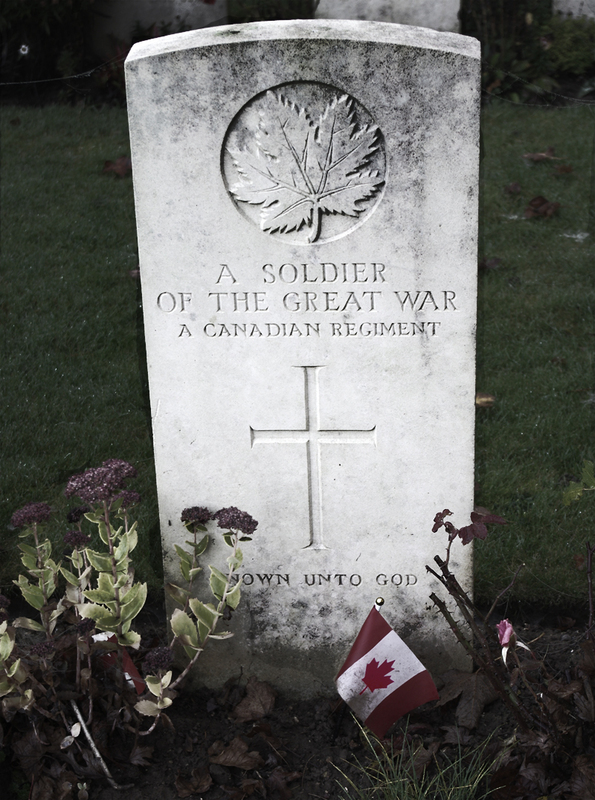 Those of you who follow my blog will have seen my post this week commemorating the Battle and where you will find links to previous posts of mine containing more images and a video from the Vimy Memorial site. Great photographs. 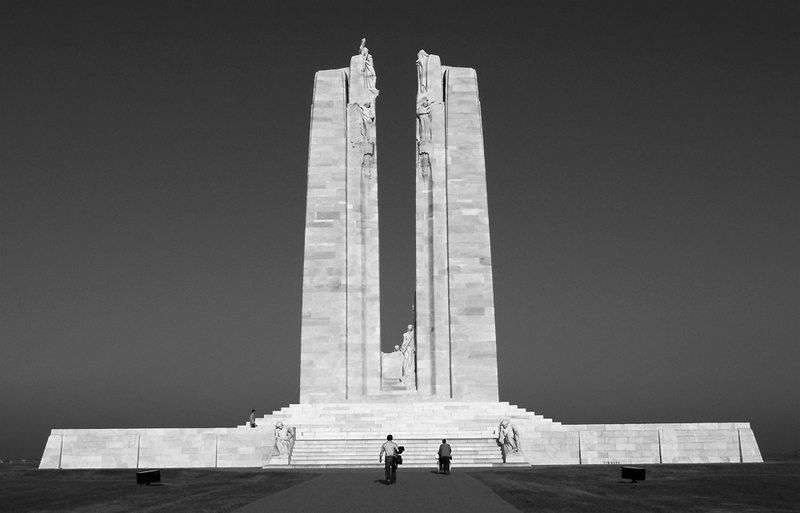 The Vimy memorial is a very impressive monument and looks great in your black and white images. My family and I visited last year and we thoroughly enjoyed the visit. I took lots of photographs of it too – images very similar to yours. What an amazing monument Andrew – thanks for sharing. Am enjoying all of the many monuments bloggers are posting this week, most of which I’ve never seen and many of which, including yours, I’ve never heard of. Well done! Thanks Tina. I agree, lots of great posts this week. 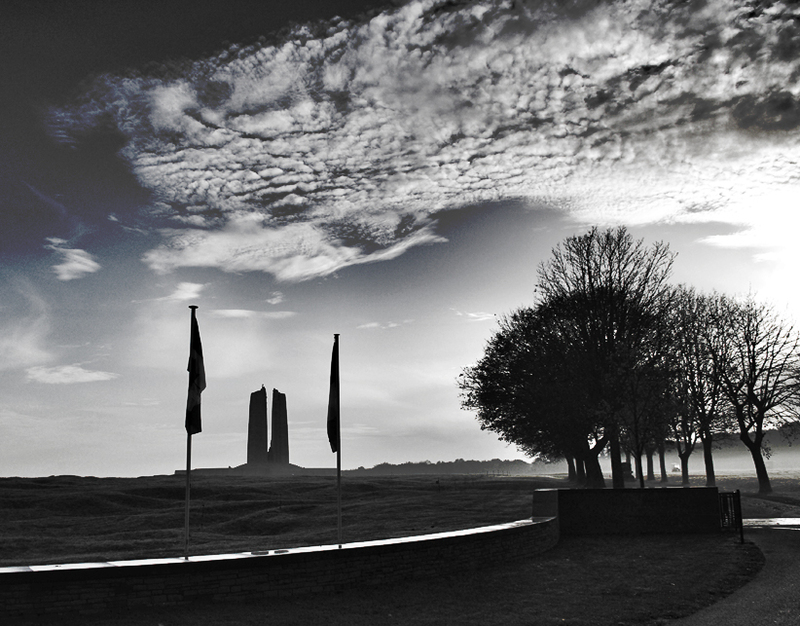 Vimy is truly worth visiting if you are able to some day. Great images! 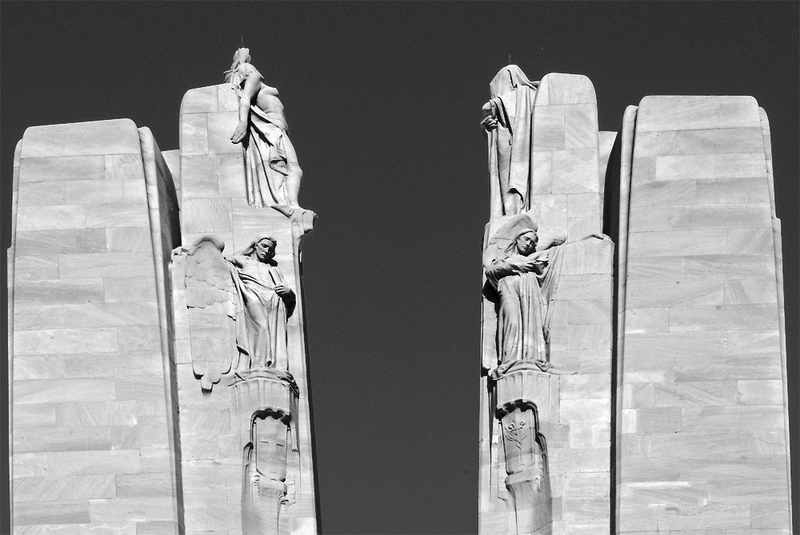 I really love the one you submitted to our Monochrome Madness challenge. Great work!